No no this is not just another recipe of Uttapam !! I tried to make it more healthy and fun simultaneously. As I treat breakfast the most important meal of the day so nothing can beat these uttapams which are baked in Oven to sans oil. Chop and grate the veteables and keep aside. 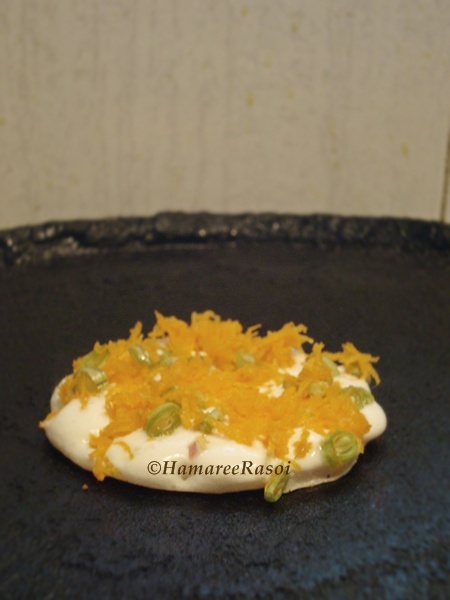 Sprinkle some salt and spread a spoonful batter on pre-heated tawa for round shape. Do not spread it much as we want small uttapams only. So smaller the better. Now sprinkle some carrot-beans and a pinch of salt. Slightly press it with the back of flat laddle to stick the vegetables. Absolutely no need to drizzle oil around the corner but if you are finding it difficult then might add 2-3 drops per uttapam. Now leave it for 2 minutes on low flame to set, once you see light golden color at the bottom remove it from the heat and place it on baking tray. For different shapes use the cookie cutters and pour the batter inside those, let it set down and sprinkle onion+coriander leaves. When you are done with the remaining batter, place the baking tray inside the Oven (170 C) and bake for 5-6 minutes. Remove and insert he ice-cream sticks inside those thick uttapams. 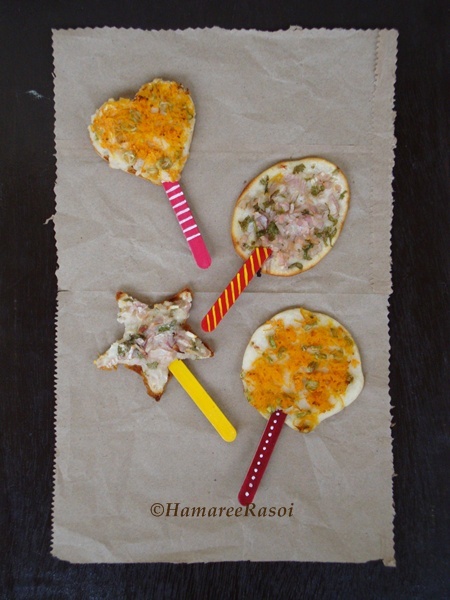 Kids will be delighted to see these cute uttapams on stick. As soon as you pour batter on hot tawa, sprinkle vegetables, little salt on it, this step will make the veggies to stick to the batter. Instead of oil you can also use butter if you want. Instead of coriander leaves you can replace it with curry leaves. I never drizzle oil before putting the batter on hot tawa, just sprinkle some water and wipe it off with a clean cloth. But you can put 2-3 drops of oil on tawa and rub it with onion and then pour the batter. This way your uttapam will not stick to the pan. 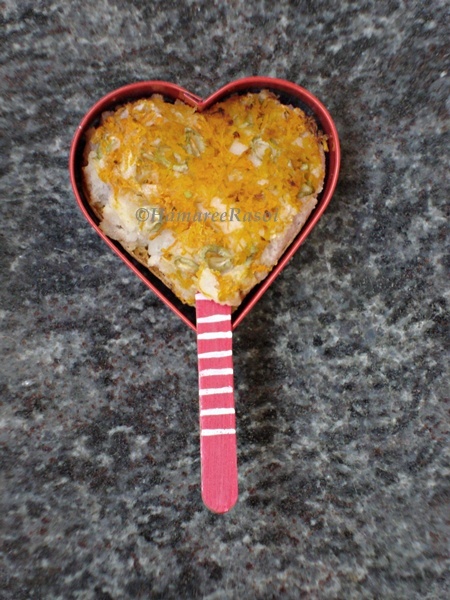 If you Like this post and my recipes then please LIKE my Facebook Page which I created recently. Thank you in advance. love those pics. kids will love it. Wow!!! Brilliant idea!!! bookmarking the page... Really Innovative! Very innovative !! Kids would love this anytime. My Mom when she was here with us she used to make dosa of all shapes and my daughter would finish her breakfast in no time !! wow very innovative and lovely uthappam...luks amazing. This is delicious.Just right for my fussy eaters. very very cute and innovative. 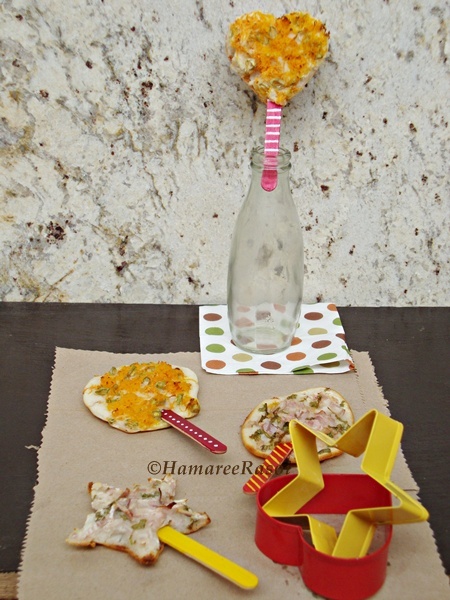 Superb Deepa....innovative and healthy recipe, sure kids will like it. Wow seriously baked uthapams looks damn cute, love this unique idea. Very innovative n interesting, Uttapams looks so attractive n yummy...love it! wow..very innovative n delicious...wonderful clicks.. 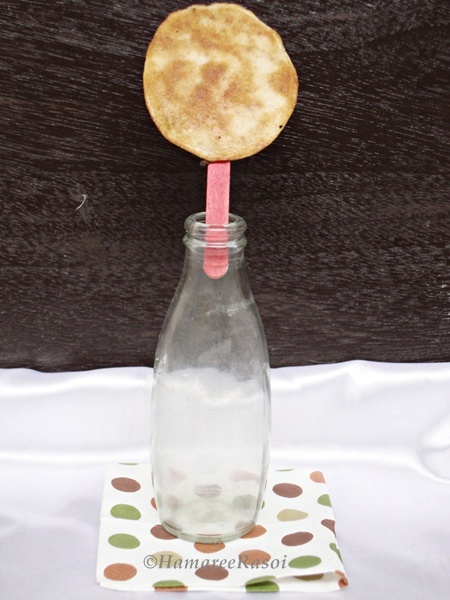 Innovative recipe dear,looks so cute. Ki mitti idea. now I am going to tempt T with this dosa/uttapam lollisticks! Creativity in cooking makes the dish more tasty. You exhibit it. Yummy. Oh..my my these are such cutie uttapams ! thanks for showing the baked way ! Totally innovative and cute uthapams. This is very innovative & you deserve the award Deepa! 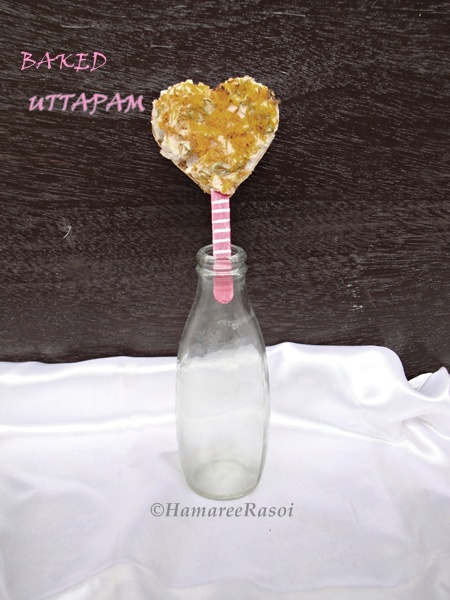 Uttappams looks so very cute,loved this healthy version. Wonderful recipe!! I want to try this as a tiffin option for my littl one. she'll love it. wowww!!! i am definitely gonna try this for my kids ! thansk a bunch for sharing !! Found this post very helpful. Go through this and then mark your best choice. Delicious recipe but the rice can be cooked in Best Rice Cookers for better results.